Tarini possesses rich professional experience of more than 12 years in handling Transfer Pricing matters of domestic and multinational enterprises. 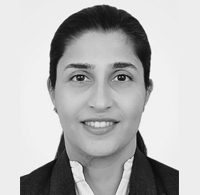 Prior to joining Nangia Advisors LLP, she has worked with KPMG and PriceWaterhouse Coopers in Tax and Regulatory Services in Transfer Pricing practise. Since 2005, Tarini has been assisting her clients across a wide spectrum of industries like IT/ ITeS, Automotive, FMCG, Chemicals, Services, Industrial Products, EPC, Soga-sosha, Travel, Consumer Products, etc. Tarini has been handling various transfer pricing projects, including Global transfer pricing documentation spanning a number of countries, APAs, representation at the Tax Office at various levels, Fin 48 analysis, advisory on cost allocation mechanism/ process, TP diagnostic of existing model, determination of target arm’s length margins for various business models, etc. Tarini has also handled litigation for many companies in various industry sectors alongwith the Legal Counsels at the level of Income Tax Appellate Tribunal and above. Tarini has also contributed inputs to articles on transfer pricing matters at various forums.